Glass’ dream of finding stardom outside the city was cut short early Tuesday morning, when he was shot and killed near the Chicago-Evanston border. The aspiring rapper — he went by “Kay Pee LaShore,” according to his friends — was at least the second person killed in eight days in Chicago’s Rogers Park neighborhood. Glass was walking at about 2:40 a.m. in the 7600 block of North Ashland Avenue when a gray minivan drove by, and someone inside the vehicle opened fire, according to authorities. Glass suffered a gunshot wound to the head, said Chicago Police News Affairs Officer Janel Sedevic. Glass, of the 3500 block of West Walnut Street in Chicago, was pronounced dead on the scene about a half hour later, according to the Cook County medical examiner’s office. Police were questioning a person of interest Tuesday evening in connection with the shooting, said Chicago Police News Affairs Officer Thomas Sweeney. For Glass’ friends, his death was a devastating end to a life focused on chasing his goals. James said he was friends with Glass since they were freshmen at Nicholas Senn High School in the Edgewater neighborhood of Chicago. James played quarterback for the team, while Glass was a running back. On the basketball team, James said he played center and Glass was a point guard. Over the past year or two, though, Glass increasingly set his sights on glory off the field, hoping rap could launch him out of the city, according to his friends. Glass took the goal more and more seriously, going from shooting music videos on iPhones to recruiting a camera crew, James said. Glass was inspired by a group of up-and-coming rappers from Chicago, including Chief Keef, and saw their music “as a way to make it,” James said. But Glass knew there was a dark side to Chicago hip-hop, said Craig, who goes by “SoHusky” and initially reached out to Glass about working together last summer. In a number of conversations on the Web since then, Craig said he could tell Glass did not want to face the same fate as his cousin, another rapper from Chicago who was fatally shot in the city. Glass was killed about two blocks east of a convenience store where a shooting April 7 killed another Chicago man and wounded two others. 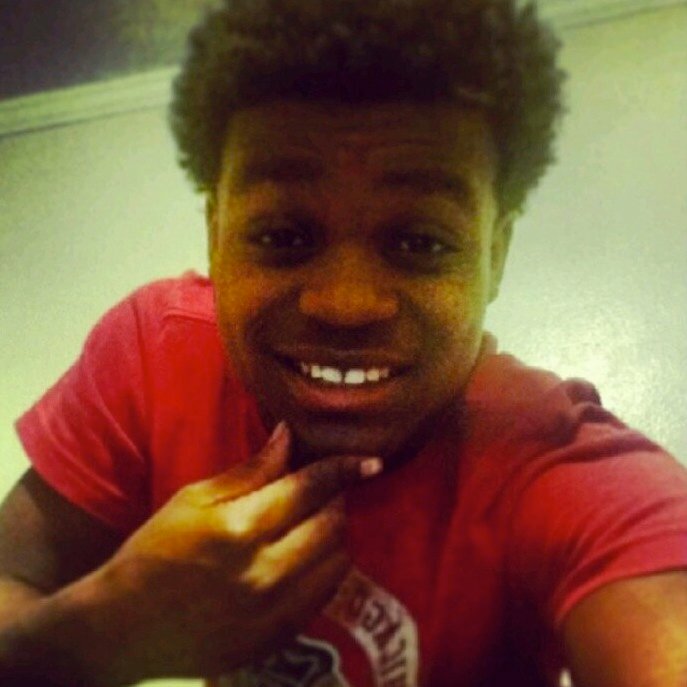 Last summer, a 22-year-old man was fatally shot about a block north of the convenience store. Since then, four other people have been killed elsewhere in Rogers Park, according to reports. Evanston police have apparently taken notice of the bloodshed, saying Thursday in a newsletter that officers near the Chicago border are ready to “monitor and intervene if necessary in the rising tide of gang activity occurring in Rogers Park.” It was unclear Tuesday evening whether Glass’ slaying was gang-related, though in the same newsletter, Evanston police characterized the April 7 incident as one of two “gang shootings” around that time in the Evanston area.